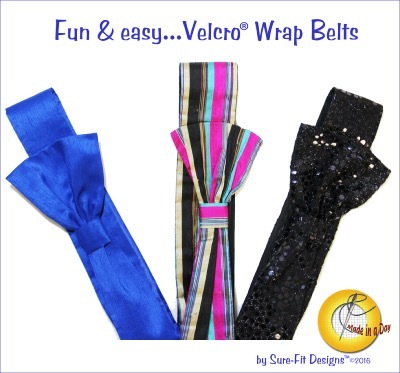 Fun and versatile velcro wrap belt pattern. If you're looking for a unique and interesting belt accessory, there's no need to go further. This wrap belt, which is closed with Velcro® strips, is fun and easy to design and can be sewn in a day. It's truly a 'Made in a Day' project.